Sciblogs | Shifting climate and Sauvignon blanc style – Can you taste the future? Shifting climate and Sauvignon blanc style – Can you taste the future? By Dr Glen Creasy, Senior Lecturer in Viticulture, Lincoln University. Wine is a fascinating beverage. It is the culmination of a myriad of effects on the grapevine and its fruit, decisions made by the winemaker, handling of the bottles and the time until it’s poured into your glass. It is an expression of the environment it was made in, and so therefore as the environment changes, so must the wine. My career has focussed on how to improve the way we grow grapes so that they can be made into better wine, and more recently, how factors relating to climate change alter the way grapevines grow and subsequently, how the wine smells and tastes. The factors I’m most interested in are increases in temperature and changes in rainfall patterns, because these have a large impact on grapevines and the wine made from their fruit. Not that winegrowers are unable to compensate for these changes, at least in the short to medium term, as there are vineyard and winery management practices to lessen their impact. In the vineyard, we can change the way the shoots and the leaves of the vine are arranged to reduce the effect of higher temperatures, and we can adjust to periods of drought by changing our irrigation strategies. The date of harvest can be shifted, too, as well as altering the way we process the grapes to maintain the characteristic way a wine smells and tastes (its style). As climate change is a slow process (though it appears to be getting more rapid! ), winegrowers have time to adjust their practices, which is just as well, because it can take a decade or more of research to answer a relatively simple question about changing irrigation strategies! But what if we want to see the effect that climate change could have on our wines – are we able to get an idea of that now? Well, particularly when talking about temperature, I think we can. 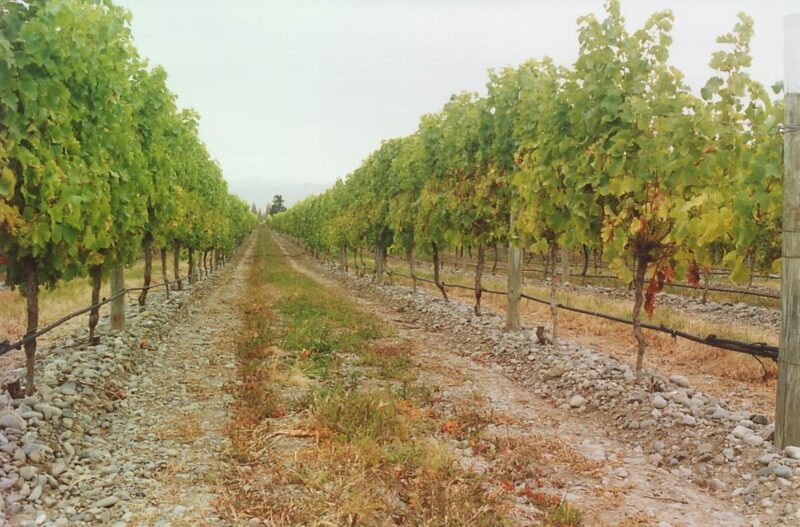 There are many wine growing regions in New Zealand, and each has its own peculiarities around climate. Take Marlborough and Hawkes Bay, for instance. The average temperature of the warmest month (a useful measure of how warm the growing season is in an area) in Hawkes Bay is 19.5°C and in Marlborough 18.1°C. Such a small (8%) difference may not sound like much, but since the entire growing season is representative of that difference, the cumulative effect (often measured through heat accumulation, or Growing Degree Days), can make a significant change to plant growth and fruit composition. Hawkes Bay, for example, has 1750 GDD and Marlborough has about 1330 – a 32% difference. By way of comparison, in Canterbury where I’m based, our GDD is a measly 1060! So with these differences you could choose a wine from each region and potentially see how the smell and taste is altered. Or can you? As mentioned, wine is a very complex beverage, with many factors involved in its production, from how the grapes are grown, to how they are harvested and made into wine – all of which can change the wine’s style. So how do we minimise this effect? One: Choose a variety and wine style that shows primarily the environment that the vines were grown in. This is pretty easy in New Zealand: Sauvignon blanc. It’s widely planted, and grape growing and winemaking practices tend to be fairly uniform across the country. Two: Choose wines from the same vintage. Some years are cool and some years are warm – although there can be differences in GDD between regions in the same year, it’s likely to be less than differences between regions and years. Three: Choose wines under the same wine label. 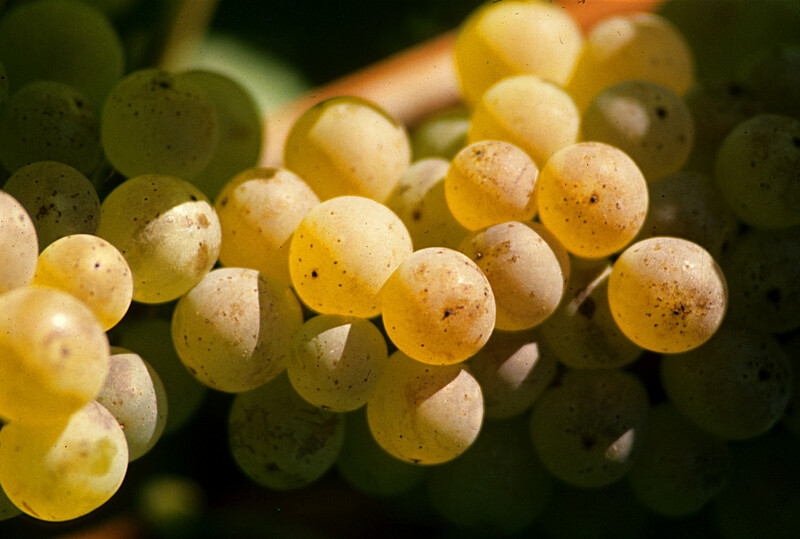 Overall winemaking practices can vary a bit between companies, so to reduce this influence, find a wine label that makes a Sauvignon blanc from both regions. If you really want to get the most out of this exercise, don’t read the back label description of the wine and have a friend pour a glass of each and present them without you knowing which is which. As well, have them at room temperature – I know, it’s not the best way to serve Savvie, but you’ll be able to get more aromas from the wine that way. Swirl the wine around in the glass before taking short sniffs and thinking about how it smells. Before tasting, do the same with the other glass. Then go back to the first glass, sniff again, taste, and repeat with the other wine. Depending on the wines you’re tasting, the differences should be evident – if you do try this, feel free to post a comment with your findings – provide details about the wines you tasted and how you thought each was different. The differences in climate between these two regions, separated by about 300 kilometres, amounts to about 1.4°C, which seems small, but ends up being significant to wine style. It should be noted that NIWA reports that the average temperatures around New Zealand are forecast to increase by that much by around 2070.